O in short: VoiceXML Gateway VOIP PSTN TAPI development SDK for interactive telephony apps. High level W3C development platform. Supports text-to-speech voice recognition DTMF tones for both inbound outbound apps. Works with VOIP Skype and voice modem. 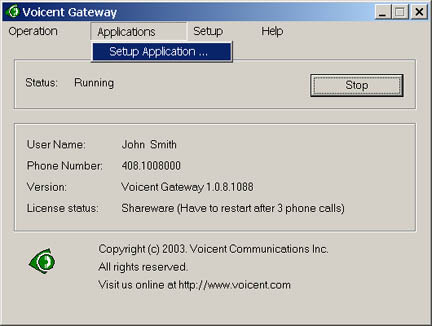 Starting from release 6, Voicent Gateway supports VOIP through Skype. This release also supports Windows Vista in addition to Windows 2000, 2003, and XP. ExamXML is the best visual tool for comparing and merging XML documents with a possibility to manipulate elements. ExamXML can compare data from sources of many types such as XML and CSV files, SQL server.